Anna Nagar is one of the top residential areas in Chennai, which is located in the northwestern of the metropolitan city. Formerly known as Naduvakkarai, the area was named after the eminent Tamil Leader C.N Annadurai. The residential area is the planned locality, which was majorly developed by the Tamil Nadu Housing Board in the early 1970’s. After the world trade fair in the year 1968, the housing board has developed apartments, residential plots, wide roads, commercial complexes, bus terminus and big parks. Further, Anna Nagar is the first residential town in which the roads developed based on the structure followed in the western countries. Anna Nagar is the most happening areas, which can also be called as a mini-city within Chennai. Owing to its immense residential growth, the area has become one of the most preferred locations for the commercial sectors as well. Anna Nagar has a wide range of commercial complexes, shops, famous restaurants, hotels, chain stores etc. The main attracts and landmarks of the area include Anna Nagar Tower, Anna Arch, Blue Star, Shanthi Colony, Thirumangalam Junction and Anna Nagar Bus Depot (West & East). The area also has the best schools and colleges in the vicinity. Is you are searching for the luxury segment homes? It’s an ideal choice to look for residential apartments for sale in Anna Nagar. The above mentioned factors make Anna Nagar as a posh residential area in the city. 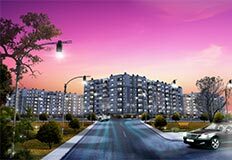 With all these excellent qualities, the demand is high amongst the property investors to buy individual houses and residential apartments in Anna Nagar. Located strategically, the real estate developments in the area have been remarkable during the year 2013-2014. The real estate builders have built numerous ranges of dependent houses and residential apartments in Anna Nagar. Especially, the trend of rebuilding the individual houses into residential flats has been hitching up. When compared to individual houses, most of the home seekers prefer to buy residential apartments in Anna Nagar. The reason for preferring residential flats is that the amenities and facilities available for the residents. 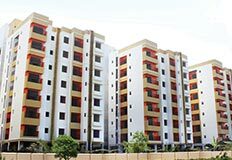 As the demand for rented accommodation is also high in Anna Nagar, the home seekers considers it as an opportunity to buy independent houses or residential flats in Anna Nagar for getting the highest rate of capital appreciation and rental returns. The median price range of residential apartments in Anna Nagar is Rs.9000 per sq ft. The flats for sale in Anna Nagar West are comparatively affordable than the residential flats for sale in Anna Nagar East. As Anna Nagar is surrounded by the prime locations of Chennai, the connectivity and transportation facility have been the best feature for the residents of this area. There major modes of transportation in the area are share auto (very common one) and bus. The two major bus terminus available in the area includes Anna Nagar West Depot and Anna Nagar East Depot. Thus, the residents of this neck of the woods can easily travel to any of the prime locations of Chennai. Moreover, the metro rail line constructions are in the progress which will be completed earlier. 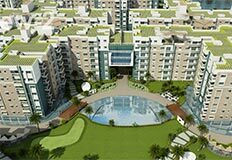 All these advantageous reasons make the home seekers to rent or buy residential apartments in Anna Nagar. Apart from Transportation, the locality is surrounded by some of the reputed schools and colleges. Some of the famous educational institutes in the area are DAV, SBOA, Chennai Public School, Chinmaya Vidhyalaya, Valliammal College for Women, Anna Adarsh College for Women, Kandaswamy College for Men. The well-known hospitals available in the locality includes Sundaram Medical Foundation, MMM Hospital, Cherian Heart Care Hospital and more. These are the core causes for the lift in the demand of residential apartments in Anna Nagar. At www.chennaiapartments.com, you find review of the Anna Nagar location and the trending residential flats.